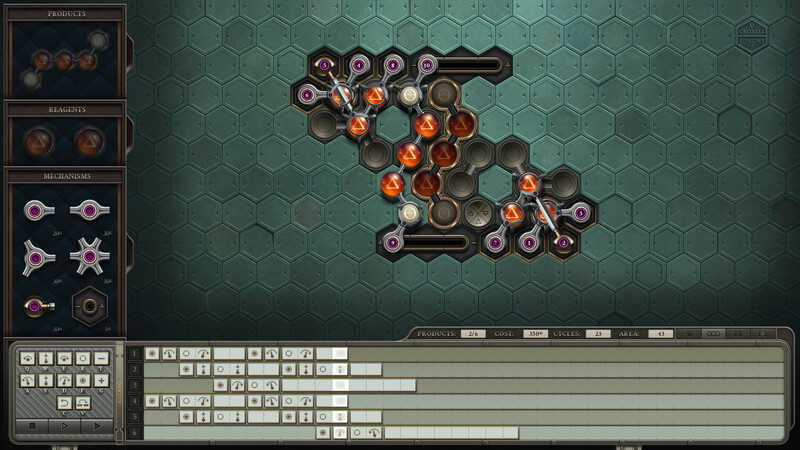 The latest game from indie studio Zachtronics entitled "Opus Magnum" has reportedly been rejected from GOG for reasons unknown. The only statement provided by GOG regarding Opus Magnum’s rejection cites that the puzzle game failed to pass GOG’s internal curation system. On Twitter, Zachtronics tweeted an explanation to any fans hoping to pick up Opus Magnum on GOG along with a screencap of GOG’s response. The situation is definitely a puzzling one. Five previous titles from Zachtronics have made it to GOG without issue, and Opus Magnum continues to receive strong praise from both critics as well as Steam users. It’s possible an error was made on GOG’s part, although as of right now, they’ve yet to either address or rectify the situation. What’s more, Zachtronics creator Zach Barth noted back in December that he believed Opus Magnum may struggle to make it through GOG’s strict internal curation process. Despite Barth anticipating such an outcome, the lack of explanation on GOG’s part as to why exactly Opus Magnum failed remains an issue, particularly for other indie developers hoping to put their game on GOG. After all, knowing which aspect of Opus Magnum caused it to fail based on GOG’s criteria certainly helps avoid similar situations in the future. Then again, the vagueness of GOG's statement also makes sense when you think about why the internal curation system exists in the first place. While Steam has incurred controversy in the past due to lack of stricter curation, few have complained about GOG’s standards. GOG acts not only as competition to Steam, but as a marketplace where gamers can purchase DRM-free titles. As such, GOG has more incentive to thoroughly scrutinize the games they offer to ensure the best possible experience for GOG users. This level of detail not only protects users from low-quality content, it also increases the risk that highly praised games (like Opus Magnum) find themselves rejected. Especially considering how subjective games are as an artform. Fortunately, for those looking to pick up Opus Magnum, it’s still available on Steam. Should GOG change their mind and add the game to their site, we’ll be sure to update this article accordingly. In the meantime, what are your thoughts on Opus Magnum’s strange rejection from GOG? Let us know down in the comments below!